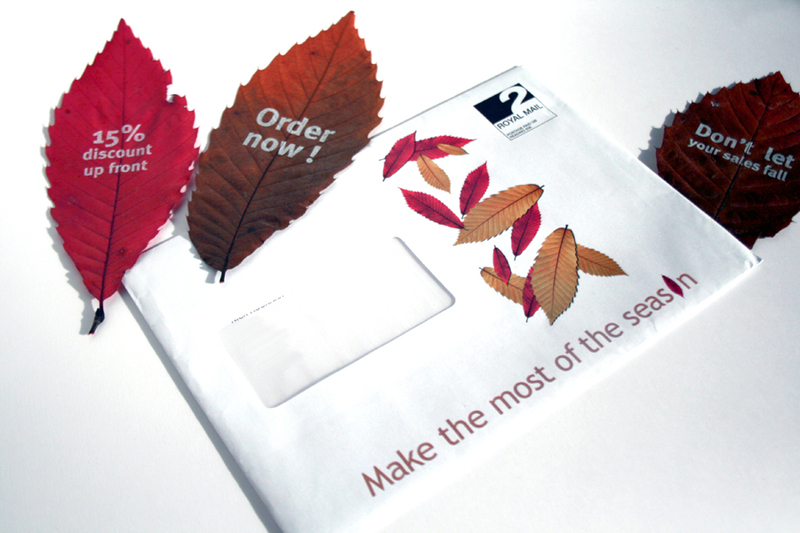 National Garden Gift Vouchers are sold through garden centres, various shopping malls and online. 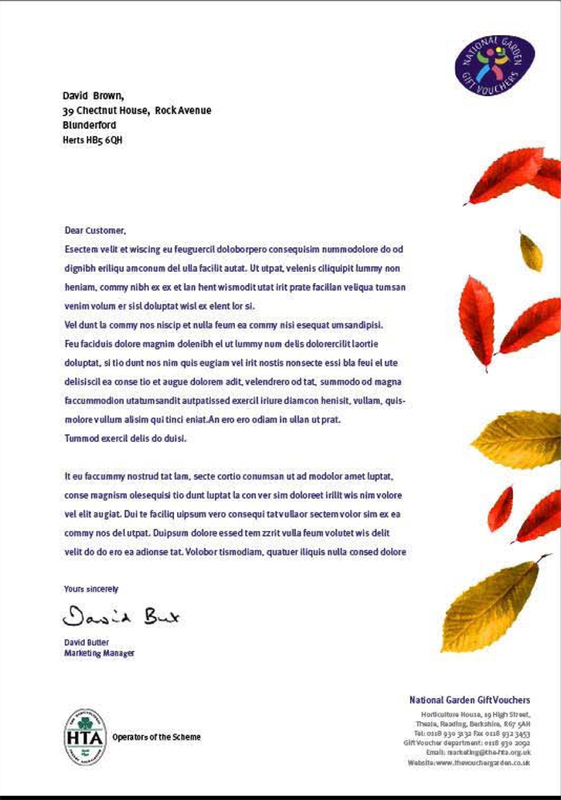 The aim of the scheme is to help people to see their garden or balcony as another room of their house. 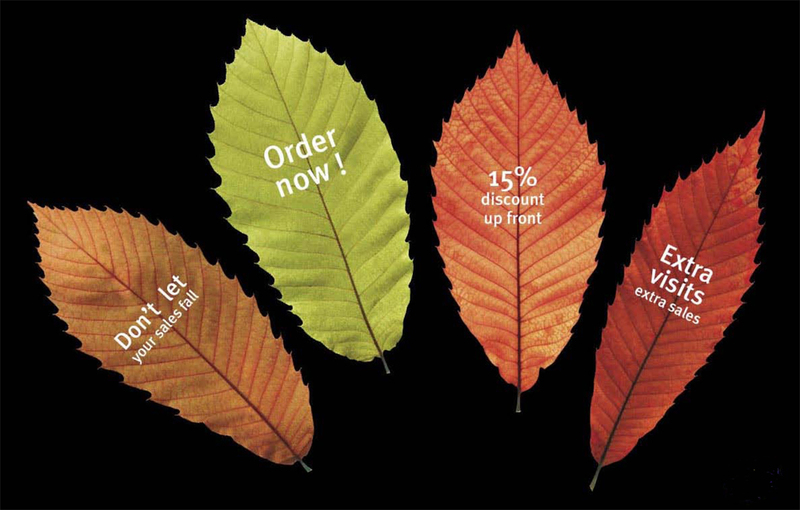 These vouchers have proved to be very popular with the gardening and DIY community, and continue to do well compared with more well-known national vouchers. 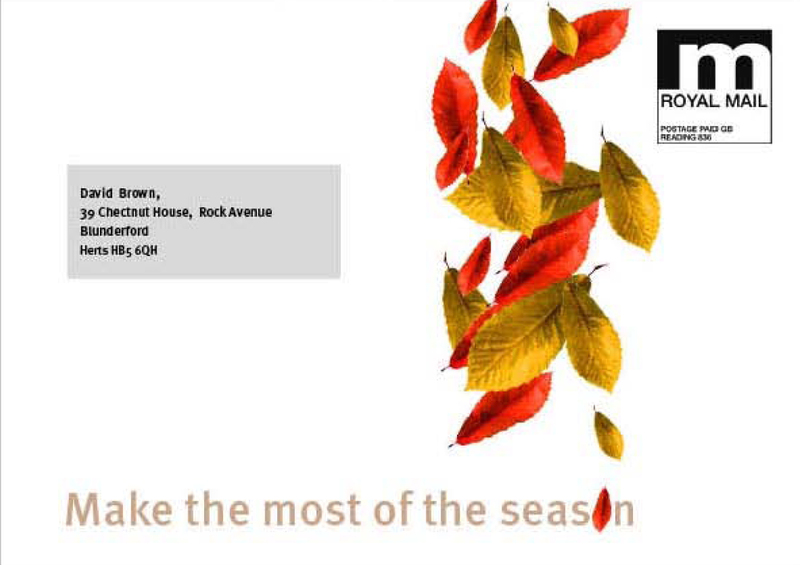 This was a direct marketing piece aimed at gardening outlets. 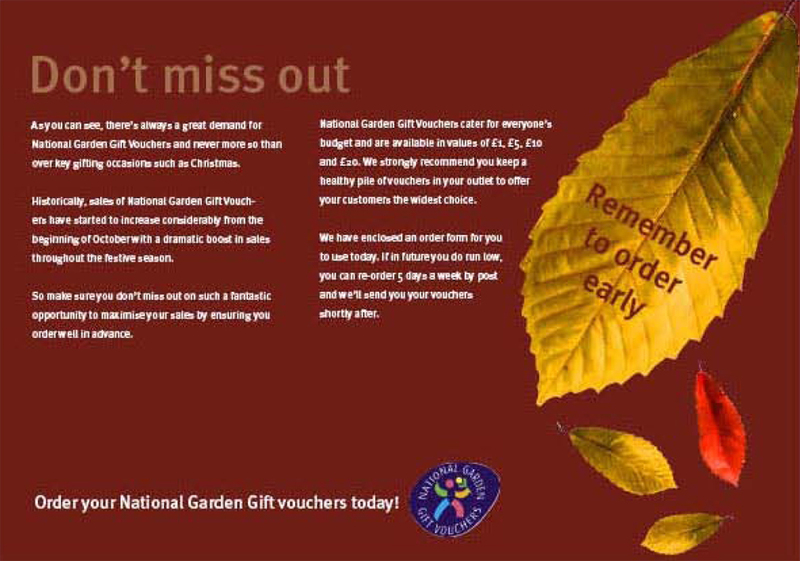 Because retail shops sell more vouchers in the summer than in the winter, National Garden Gift Vouchers send out timely reminders to retailers, so that they can get their orders in early. 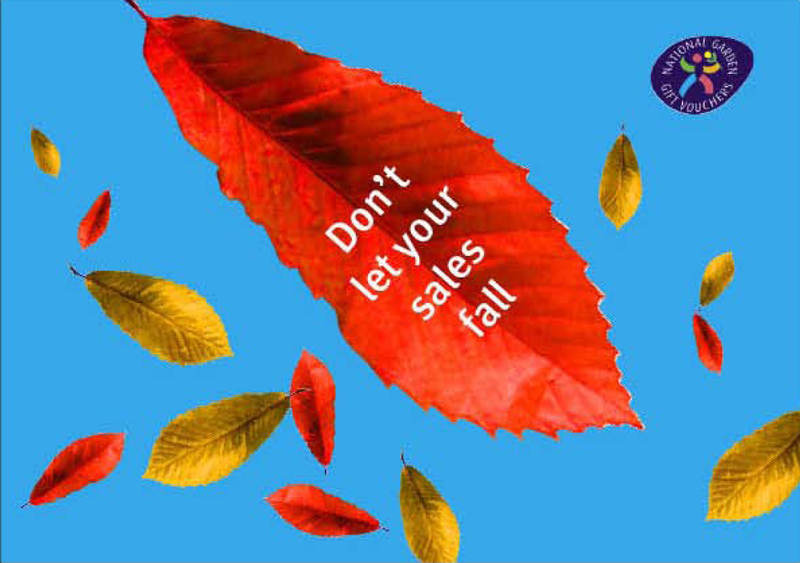 The concept was focused on the approach of autumn, reminding outlets to top up their stock of vouchers.